Posted on April 26, 2018 at 5:15 pm. Any bread makers out there? You’ll know that there is a critical stage in the baking process: the leavening. As the dough sits, the fermentation process commences letting all those lovely bubbles of CO2- the essential raising agent- to do their magical work. The leavening time is when you step away, put the dough in a warm and cozy place and let the yeast be yeast. The rest is part of the rise. In my favourite café in Dublin, the Fumbally, there is a large quote from Miguel de Cervantes (Don Quixote) written on the wall; ‘All sorrows are less with bread’. We can play with this a little and also say, ‘All sorrows are less if we act like bread’. Bread, you see, holds a valuable life lesson; that rest is integral to the whole. As humans we need our own form of leavening time, and yet, why do we resist? In the world of go go go, on on on, it can feel like total self-indulgence to rest. More and more frequently when I ask people how they are doing, ‘busy’ is the response. (Is busy now a euphemism for ‘I am wanted, I am useful, I am important?’). What if we were to step away from work, and let the air that holds us all together do it’s work. In other words; take some breathing space. When it comes to building our resilience, is rest part of our rise too? And when I say rise here, I am wondering if it’s not just about what we do in the world, but how we elevate our state of being in the world. This is where the rest part gets beautifully nuanced: it turns out that there is not just one form of rest. Rest instead is on a spectrum from stillness, to awareness, all the way to flow. Let’s skip over to the poetic for some more clues. The poet David Whyte has written a delightful little book, ‘Consolations’, which is a series of mediative reflections on, as he puts it, ‘The solace, nourishment and underlying meaning of everyday words’- rest being one of them. To feel rested, then, does not necessarily mean to stop everything; but instead to fall into rhythm with life’s daily occurrences, with the exchange of breath, and with our domesticated selves. As Whyte continues..
..we are rested when we let things alone and let ourselves alone, to do what we do best, breathe as the body intended us to breathe, to walk as we were meant to walk, to live with the rhythm of a house and a home, giving and taking through cooking and cleaning…. To rest is not self indulgent, to rest is to prepare to give the best of ourselves, and to perhaps, most importantly, arrive at a place where we are able to understand what we have already been given. When it comes to entrepreneurship, creativity and innovation, rest is a critical component to the creative process- both within the process, and at either end of it. That time to step back from a canvas and take in the big picture; that time in the writing process when you print out what you’ve done, and set it aside for a few days, only to return to it with fresh eyes; that time in music when there is space and quiet again so that we can really take in the crescendo. The silence, the space, the pause is part of the music too. In design and innovation circles, the idea of working in sprints has been taking off- a period of rapid thinking, prototyping, and launching, followed by periods of rest. These burst of creativity have their own momentum and give rise to new ways of seeing things without getting stuck in the typical creative traps of procrastination, overthinking or never getting started in the first place. A short sprint followed by a longer rest, can get way more done. But, we think of resting up as some badge of dishonour. As humans, we are built for short bursts. Our attention span is built for short bursts. Our creativity is built for short bursts. Yet mostly, we work like we are built for marathons. I think sprints are a practical way to make a lot of stuff happen quickly with limited resources. In terms of building our inner resilience, it could serve us well also to think in sprints; focusing on short bursts of personal goals, short-term but intense creative experiments, using deadlines to build our momentum- and then valuing the break as an intrinsic part of the creative cycle. 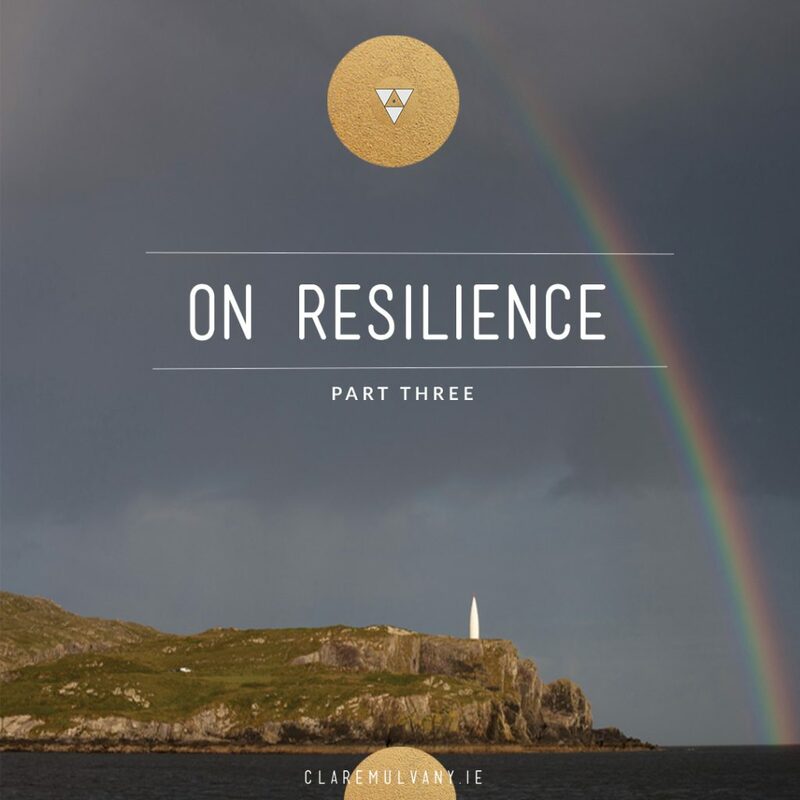 If we are looking for a cornerstone upon which to build our resilience as a way of living, then we would be well to go back to Whyte’s sense in Consolations: ‘To be able to understand what we are given’. This awareness, we will note, gives rise to gratitude, and this gratitude could even be the start of a revolution. I’ll let Whyte and the benedictine monk, Brother David Steindl-Rast elaborate further. ‘Gratitude’, continues Whyte, ‘is not a passive response to something we have been given, gratitude arises from paying attention, from being awake in the presence of everything that lives within and without us. Gratitude is not necessarily something that is shown after the event, it is the deep, a-priori state of attention that shows we understand, are present for and even equal to, the gifted nature of life. Brother Seindl-Rast also takes on this mantel in his work and research on the power of gratitude in our lives and the importance of this a-priori mode of being. ’It is gratefulness that makes us happy’, he eloquently offers in this TED talk, explaining that in order for us to lead a grateful life we must become consistently aware that every moment is a gift, and within each of those moments is the gift of opportunity. Moment by moment, he suggests, we are gifted with an opportunity to create our lives, to respond to the beauty which surrounds us and to simply enjoy the tastes, the sounds, the colour, the light, the texture or the world presenting itself to us. And if we fail? Well, the will of the world is a marvellous thing: we are gifted with another opportunity to pay attention. The practice of gratitude becomes powerful when it becomes exactly that- a practice. When we learn to orientate ourselves to pay consistent attention to the opportunity arising with each breath. Easier said than done- perhaps? Stop= rest, look= pay attention, go= respond to the opportunity which life is presenting in this given moment. Building more ‘stop points’ in our lives is the key- moments when we actively take note of the gift of life in front of us. Brother Seindl-Rast recounts a little story of living in Africa for a while, when he had no running water or electricity. When he returned home, at first each time he turned on a tap or switched on a light, he stopped, in awe of the miracle of both. After a while though, he became accustomed to these things, and stopped paying attention. And so, as a reminder to stop, look, and be in awe, he put a little sticker on the light switch and the tap. When we learn to build more stop points in our lives, we develop our capacity to notice connections, patterns, creative solutions and new ways of showing up. If we are go go go, we simply miss out on this opportunity to reconfigure ourselves in response to the needs and moments which surround us. To Brother Seindl-Rast, living a grateful life, has the power not just to transform our own individual lives but also to revolutionise how we collectively respond to the ongoing opportunities. When we are grateful, we don’t act out of fear, which in turns leads to less violence. If we are grateful, we act not out of scarcity but with a sense of intrinsic abundance, which, he asserts, in turn leads to more sharing and therefore more connected and strengthened systems. So we really have cause not to stop and pause? It may in fact be the start a revolution. ‘being completely involved in an activity for its own sake. The ego falls away. Time flies. Every action, movement, and thought follows inevitably from the previous one, like playing jazz’. Why do I write so much? Well, it’s one of my flow activities. I can loose track of time and become completely oblivious to any worries or concerns I was carrying before I started. And why do I paint? For exactly the same reason. I’ve a hurler friend who speaks of the same experience on the sports field, and a fiddler friend who speaks of the same flow when he looses himself in playing. And you? That thing that you loose yourself in? That’s a key to your resilience. There are eight elements identified to flow, including taking on an activity that is challenging and requires skill. As Gaffney explains; ‘You are most likely to enter a flow experience when you take on something that stretches you, when both the level of challenge and the level of skill required are above average level’. This is the good stress, or stretch, which is about reaching for a goal and having a vision. And a critical ingredient to flow? Joy. For flow to happen, the activity must have meaning to you and is something you find enjoyable. I’m personally not going to find it in playing chess, for instance, but you might- and I won’t judge you for that, I promise! But I will find in the things I love- writing, art, photography, swimming and yoga. So, if you know what your flow activities are, but you are rarely doing them, can you increase them to once a week- you’ll find you are more confident and more resilient. And if you haven’t found out what brings flow into your life, then perhaps it’s time to experiment. A clue may be in what you enjoyed as a child. Maybe it’s art, or writing, or doing handstands, or playing chess- whatever it is, it has a little secret to your ongoing wellbeing. A word of caution though too: social media- that endless stream of distraction and noise, is the enemy of flow. To flow, we need learn to switch off the stream and be more discerning of how we use our attention. Our time is precious, and we must learn to use it wisely. So, we’ve covered a lot of territory in this resilience thinking. If anything even the experience of writing these articles has reminded me of the power of paying attention to the joy and beauty which surrounds me. I know I’ll likely get stressed and anxious again, I know I’ll face challenges, but I also know that there is an arsenal of tools and practices available, as immediate as my breath, to carry me onwards. To breath. To pause. To pay attention. To express gratitude. To remember our values. To think of the positive. To cultivate flow states. To rest. To start over. These are the building blocks to resilient living. And with that, I’m off to bake some bread. It’s been a while. Find this article useful? Please share. 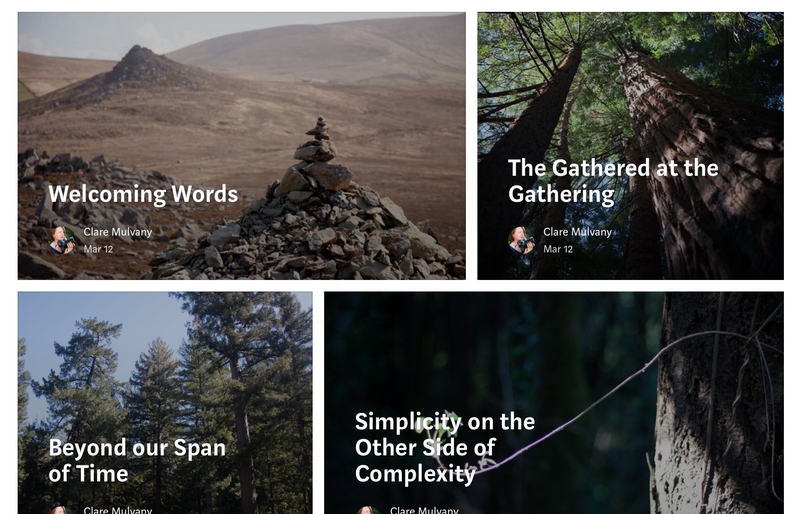 Want to stay in touch with more resources and tools for leading your one wild life? Sign up to the newsletter to have them sent directly to your inbox. Find out about ways we can work together. 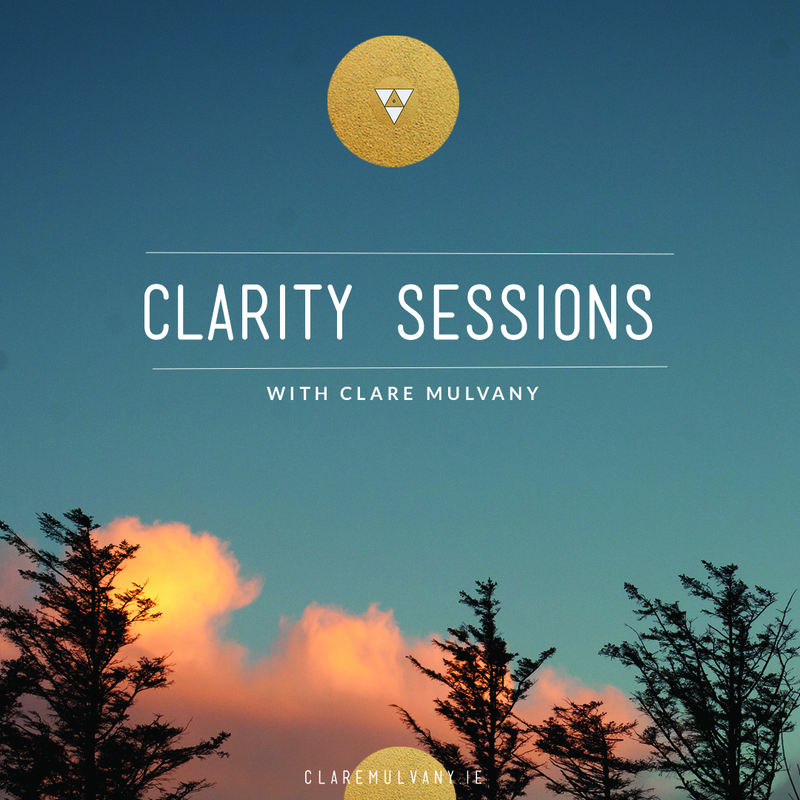 Taking bookings now for The Clarity Sessions, Creative Mentoring, and Wild Edge Retreats. Posted on April 21, 2018 at 5:38 pm. Two years ago, almost to the day, I packed up my bags from Dublin and made a move to beautiful West Cork. 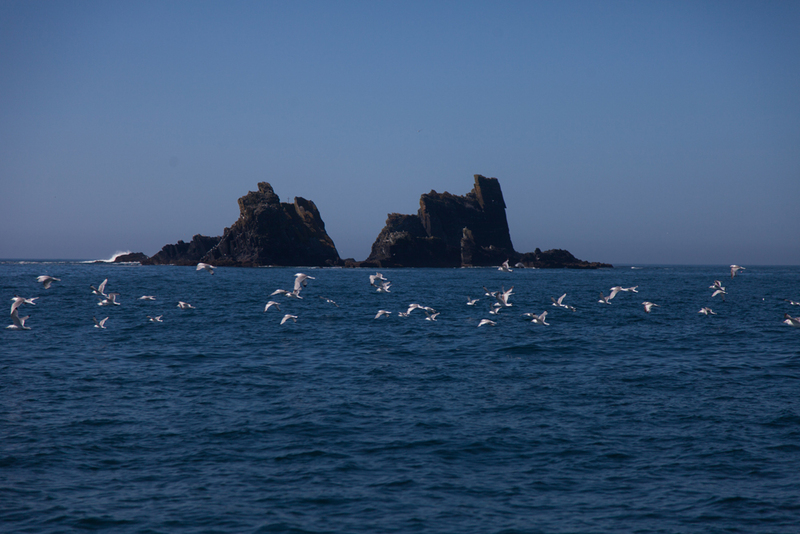 I was drawn to the space, the landscape and the magic of the sea. Two years on, knowing the power of this place, I’m ready to start inviting others to experience it too. My intention is to create safe, beautiful and deep learning experiences for people who are curious about their own power and potential, and who want to lead their own wild life with intention and purpose. 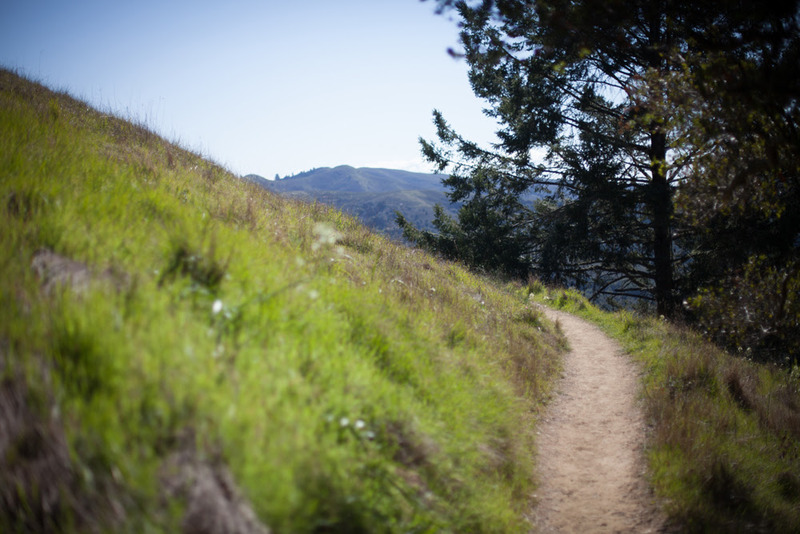 The experiences take two forms: writing retreats and leadership retreats. The first – the writing retreats – are for those of you who really want time and space to dive into their writing. Maybe there is a book you long to birth, or a story you know is ready to be shared with the world. 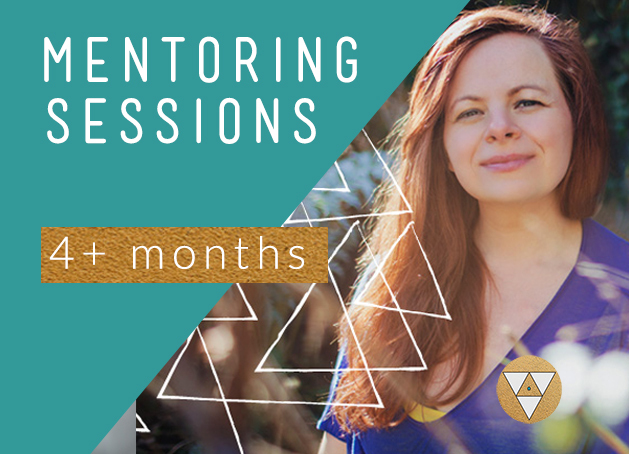 These retreats will offer support, space, direct mentoring and inspiration to take your writing to the next level. The second, the leadership retreats, are space to dive into the question of what it is you want to do with your one wild and precious life! These retreats are for people who want to take the next bold move in their life and are seeking support and clarity to figure out what to do next. Solo and group retreats are available. I am now taking bookings from May all the way through to October, including a group writing retreat from 25-30 October. 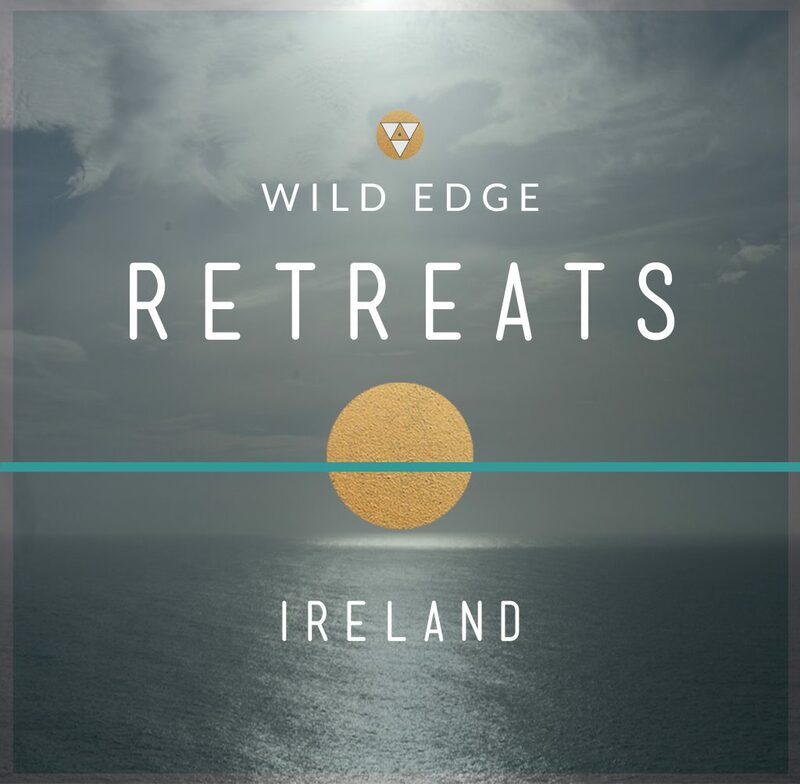 So, today, with great pleasure (and a healthy dose of nerves – which tells me I am doing the right thing), I announce that Wild Edge Retreats is officially ALIVE! 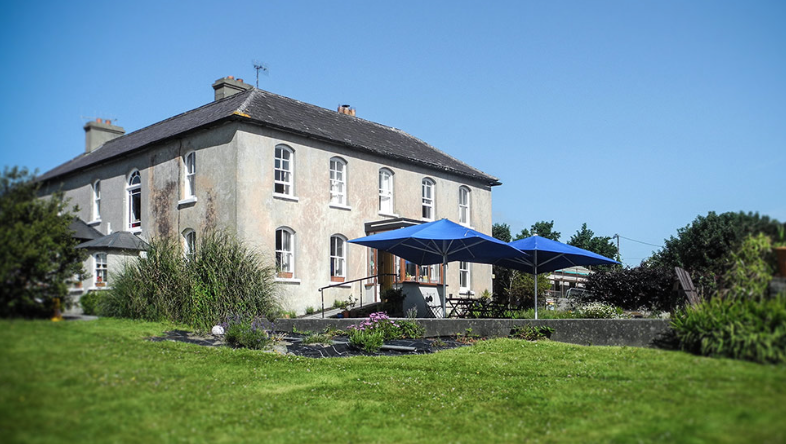 Beautiful Grove House in Schull, is our venue, supported by the power of the atlantic ocean just by our side. So, this summer, come spend some time on this wild and wonderful edge of Europe! Posted on April 20, 2018 at 5:41 pm. ‘This is going to be rubbish. I am going to fail. I’ll never be published again. All my words will dry up, forever and ever and ever. And so, what then? Well, I’m still breathing, and life goes on, and I’ll be able to learn, and ultimately I’ll be OK. What was it that Samuel Becket wrote? ‘Ever tried. Ever failed. No matter. Try Again. Fail again. Fail better’. So, let’s write. See what I’ve done there? A seamless trick of the mind in an ancient blend of ancient stoic philosophy and modern science to teach me a thing or two about resilience. Curious? Let’s go back in time. We may think that a concept like resilience is a relatively new concoction, coined by the economic machinery to keep this engine turning, but no, it’s more ancient and nuanced than that. The stoic philosophers, namely Seneca and Marcus Aurelius, took a rather pragmatic view on life. Imagine the worst case scenarios, they advised, and realise that even if you loose everything, you are made of tough stuff and you’ll still be breathing. Their approach was to train the mind to understand and accept that life is intrinsically challenging, and so, when those challenges inevitably hit, we do not go into battle with them, but rather find ways to navigate our way through them. In doing so, we also learn to distinguish between those things which we can control and those things outside our control. This acceptance leads to a steadier mind, focused on our immediate experience and not on the unnecessary worry of a yet unscripted and uncertain future. Seneca (4BC-65AD) walked his talk. A wealthy and influential man in Rome, he was accustomed to riches and grandeur, and yet he systematically trained himself to live with less. He was, for example, an advocate of regular fasting, and would frequently abstain from food to remind him that he can survive and be happy on much less. His accumulated riches then, were a bonus and not an intrinsic forerunner to happiness. This was his version of resilience training. Cato, another of the Stoic batch, consciously wore bright and sometimes unsightly robes, so as to be ridiculed. Why? So, that he would be reminded that the ridicule was not so bad at all, and he could do harder things if and when duty called. Prepare for the worst, and when hard things invariably happen, you will be accustomed to them by having developed a set of tried and tested coping mechanisms. To procrastinate, to worry too much about a future yet to unfold, to fear ridicule or poverty, were, in the stoic’s eyes, fuel for anxiety. Resilience instead comes in greeting each challenge as part of this unfolding life, mindful of the opportunities for learning and insight. Getting started, keeping going, getting started again- in art and in life, it seems to me this is the essential rhythm not only of achievement but of survival, the ground of convinced action, the basis of self-esteem and the guarantee of credibility in your lives, credibility to yourselves as well as to others. To navigate then, is to turn inwards we can then turn and unfold outwards and onwards. I’m going to make a leap here and suggest that both Seneca and Heaney had a growth mindset, an orientation in our thinking which Carol Dweck, a researcher at Stanford, has found to be critical to our learning and the realisation of our potential, or as Heaney framed it, our ‘radiant individuality’. Dweck has a keen interest in how we learn and her research is making waves not just in mainstream educational circles, but in corporate and civic ones too. In her research she has uncovered what could be called a bifurcation of mindset; that there are people with a ‘fixed’ mindset, and those with a ‘growth mindset’. The difference is significant. A fixed mindset is one that has been built on praise, on the ideal of perfection and on getting things right. For people with a fixed mindset have a need to be seen to be the best, and be seen to succeed. Feedback is often taken personally and viewed as negative. A fixed mindset has a singular and static view on intelligence, and in the face of challenges, tends to give up early. Those on the other hand with growth mindset have a learning orientation, and realise that through risk, trial and error, we can all develop our capacities and skill and get better in all aspects of our lives- from relationships, to leadership, to collaboration, to creativity and innovation. Growth mindset takes the view that intelligence is not static but that the brain is wired for plasticity and so can adapt and learn over time. Feedback is taken constructively and seen as an opportunity to expand our possibilities and skills. Those with a growth mindset are more likely to persist through tribulations and personal setback, emerge stronger and keep going. So, this you see, is why cultivating a growth mindset is so important for resilience- it helps us to see our failures as integral to our progress. Fail better, as Beckett, said, for at the very least it is making an effort. And the good news is that growth mindset is something we can all learn to cultivate too. It happens when we honour effort over success, for instance, risk over accomplishment, or determination over talent. What is also clear for Dweck is that growth and learning is a process: it takes time, we learn incrementally through successive setbacks and challenges and, through it all, we get to fine tune our abilities and accomplishments. With a growth mindset, we are all a work in progress. Resilience then is not a switch but a practice of continual realignment to the learner within us. We are all students in this thing called life. So, want of cultivate your own resilience? Well, you have some of the greats to back you up- so, think like Seneca, Heaney, Beckett and Dweck. Think stoically- ‘How bad can it actually be? ‘Think creatively- ‘What can I learn through the experience?’ And think incrementally- progress over perfection, with an understanding that practice makes progress. So why not write, or paint, or swim, or start that company, or sing, or learn to play that instrument, or do whatever it is you want to do, for what’s the worst that can happen and isn’t life this precious thing we have which procrastination only postpones. To seize the day, perhaps it is time to fail again, start over, and tune inwards to that essential and abiding rhythm; the beautiful givens of our lives. Some may even call it poetry. 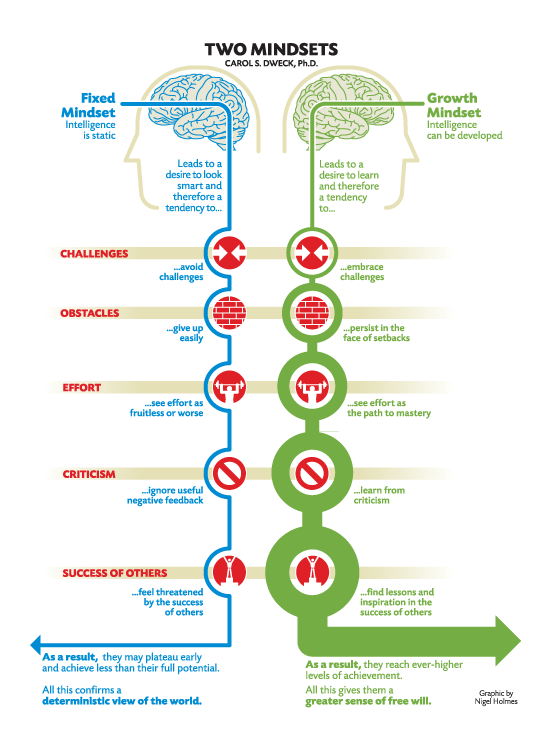 Mindset: Changing the Way You Think to Fulfil your Potential by Carol Dweck. 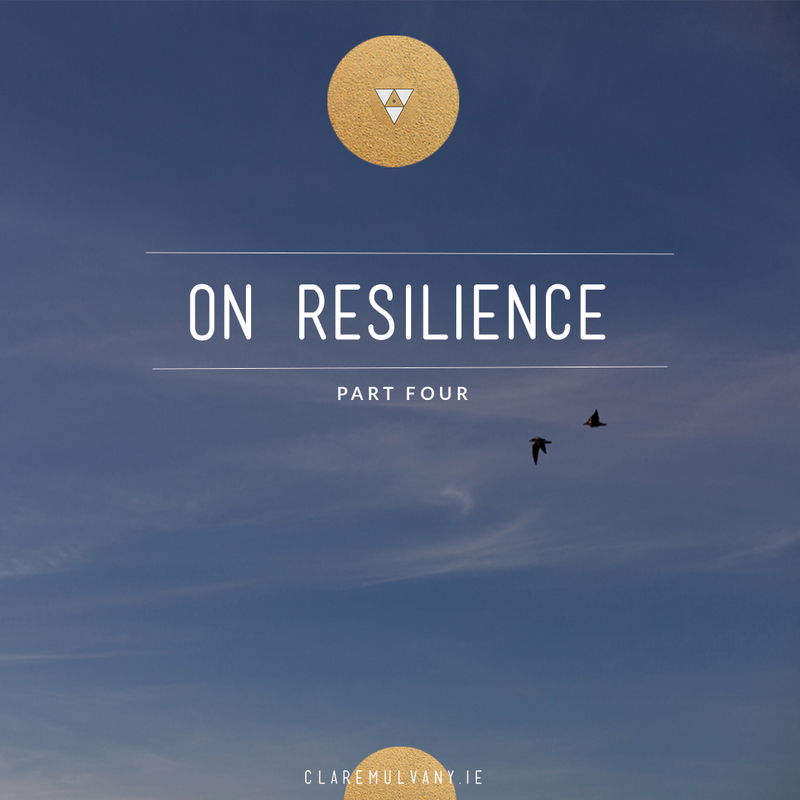 Next week, the final part of this Resilience series with thoughts on gratitude and the role of rest. Want to stay updated? Sign up here to receive writings and resources straight to your inbox. Posted on April 13, 2018 at 11:13 am. Resilience: Part Two in Series. Missed part one? You can read that here. Eric Idle may have been strapped to a cross and his little ditto a smack of classic comedy in Monty Python Life of Brian, but he wouldn’t be alone in affirming the power of the ‘chin up’, ‘glass is half full’ school of thought, especially when it comes to building resilience. I’ve been curious about cultivating resilience- the ability to bounce back when the going gets tough. I know this is something I need to practice for personal reasons, and while I am not one for general whistling down the street, I do realise that there are things I can do at both an attitudinal and a behavioural level to improve my bounce-back ability. I also don’t think I am alone in my need to build resilience. A glance at global labour market trends will tell us that we are seeing the rise of ‘the gig economy’ and the ‘portfolio career’. Individuals will transition across numerous jobs and careers over a longer working lifespan. We are also entering the era of AI and robotics where the jobs of the past are not the jobs of the future. Never before will our creative capacities, our inner leadership, our soft skills, and our ability to adapt to new circumstances be more in demand. Any change and transition has a related stress. There is a good kind stress, or motivation, which can boost our emotional, mental and physical selves for the job at hand, but then there is bad stress- the long term build up of worry and physical exhaustion, which at a chronic level can have long term effects on our overall wellbeing. Learning to understand the stressors in our lives, and develop effective coping mechanisms and preventative measures, again is more relevant than ever. Back to the whistle. Actively cultivating a positive attitude may sound like mere cheese, but there is a growing body of evidence to suggest it’s a keeper. Maureen Gaffney’s brilliant and continually insightful book ‘Flourishing: How to active a deeper sense of well-being, meaning and purpose even when facing adversity’ provides a whole menu of useful tool and resources around positive psychology, and also a magic ratio. ‘Knowing ways to generate and maintain positive feelings and thinking- even under great pressure- is a crucial part of effective coping’, she writes, ‘The heart of resilience.. depends fundamentally on the ability to actively rebalance the positivity and negativity in your life’. And that balance? Well, it isn’t quite a balance. There is a trick in the mix you see, and it called ‘Negativity Bias’. We humans can be so hard on ourselves. We get ten good pieces of feedback on a report, and only one bad, but we remember the bad feedback and linger on it for days. We get 80% on an exam, but wonder why we did not do better. Your partner compliments the way you look, but you focus on the stain on the underside of your shirt, or those extra five pounds you want to loose. ‘Once anything negative appears your brain is on high alert, concentrating of assessing just how negative it is. For instance, you know instantly, without anybody telling you, if you have made a mistake in something you are doing. Within 80-100 milliseconds, there is a change in brain response. There is no similar neurological reaction that takes place when you do something right. Feelings of anxiety, distress, anger or disappointment last much longer than positive reactions to a pleasant experience. And negative events have a stronger and more pervasive effect on your subsequent mood than positive events. Having a good day generally has no noticeable effect on your sense of well-being the following day, whereas having a bad day tends to carry over and influence the next day in a negative way. That is negative bias at work. So, how to break the cycle? Focus on the positive. No, really. And it’s to do with the magic ratio. Yes, you need five times as much positive to negative to really thrive. And just to stay in ‘normal’ state- the ratio is still high at 3:1. Anything less and it’s a slippery slope. The magic ratio appears in all aspects of our lives: from maintaining good relationships, in work and in our personal connection to ourselves. The Harvard researcher, Shawn Achor takes up this vein of investigation in what he calls ‘The Happiness Advantage’. So often we measure our success, he explains, by the outcome of events. We think, if I get to Harvard, then I will be happy. If I loose those five pounds, or get the next promotion, or just make the next thing happen, then I will be happy. The challenge with this approach, as Achor often very entertainingly argues (see his TED talk), is that when our success metrics are based on external validation, the benchmark for success keep changing. When you get to Harvard, you start comparing yourself to all the others in the class and forget the achievement (hello negativity bias), or when you loose the five pounds and are still not happy, you say, well, when I loose the next five, then…. and so the cycle continues. But, as Achor proposes; what if this was flipped; what if we focused on happiness first, then success. I’m not a scientist, but I started to wonder: could I be more scientific about how I tally the positive to negative in my day to day life, pay more attention to both and actually notice if I am in that positive to negative ratio? So, I took on the experiment, and I recommend you to too. All you need is a pen, a blank piece of paper, and your awareness. Over the course of a series of days I decided to track things in my day to day life, and record them as either positive or negative at the end of the day. I wanted evidence- sticking to actual events during the day, and not just thoughts that were happening in my head. I opened my journal and drew a line down the centre. To the left, were the positive things, to the right, the negative. Quickly, the ‘positive’ started to fill up; the smell of freshly grounded coffee, the morning walk by the sea, cuddles with my dog, a phone call with a friend, an email from a client thanking me for a piece of work, the texture of the new pillow, lighting a candle, running my hand along a fence like I did when I was a child, the interaction at the post-office, the hot shower after a long day- a list of daily occurrences which ordinarily I would not have paid so much heed to, but with this mindfulness approach combined with the decision to categorise things, the list seemed to go on. Next, it was time to tally the negative; again sticking with actual concrete things that had happened during the day, and not a list of my worries or a transcript of my inner critic. I had two things on the list: locked out of my website (which I knew was temporary), and an unsubscribe from my mailing list from an old friend (I realised I felt sad to see her go). That is all. I followed the experiment up the next day. That day, I realised the photographer in me was now in the experiment, and was actively scanning my environment for moments of beauty and positivity: the way the light falls, the roses in the derelict building, the smile of the stranger when I said hello.These were all categorised as positive at the end of the day. And the negative? Well, I was so focused on the positive, I was not really noticing the negative. I noted one thing down. As Shawn Anchor has suggested, we can train what we pay attention too. So, I kept telling myself, think like a photographer: learn to read the light. I continued my nightly tally for a few days. Each evening, I noticed that the ordinariness of the day was being categorised as ‘positive’, and in doing so, I was actively appreciating just how many positive things are around me. Of course, I’ve heard the suggestions of ‘keep a gratitude journal’ before, but this really is the first time where I felt some of the science and brain chemistry behind it too. So, what about all that worry I had? Well, it’s not that all the negativity goes away. It’s just that it is no longer the dominant narrative and therefore is not so overwhelming. After just five days of the practice, combined with some daily yoga and meditation, I realised that my thoughts felt a lot more spacious. I am seeking out more of the positive consistently again, I am thinking more clearly and I have more zest for the challenge at hand. When I notice the worry narrative creep back in, I am catching it more quickly and realising I need to train my attention to turn elsewhere, into something more productive, more positive. 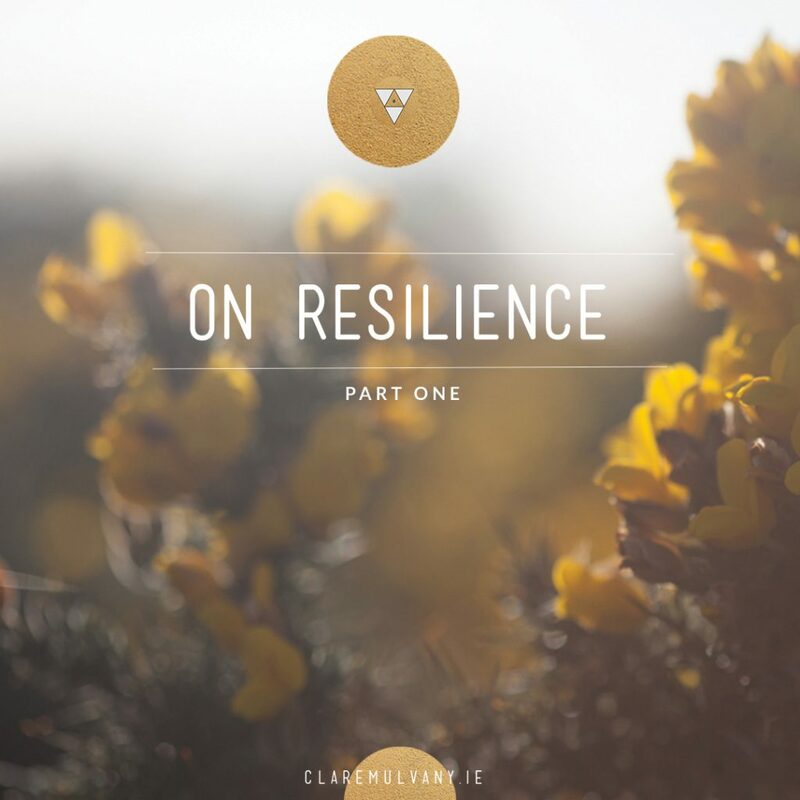 Resilience then is not a switch we just turn on, it is a daily practice of noticing and being in tune with the everyday moments of comfort and beauty which surrounds us. And to help us we can always remember the magic numbers- 5:1. Next week, I’ll share a little more about how the creative process has a roll to play in building resilience, with a little help from an ancient Roman philosopher. Found this post useful? Please share. Mary Oliver’s Instructions for Living a Life is part of the poem ‘Sometimes’ which can be found in her ‘Red Bird’ collection. Posted on April 7, 2018 at 3:21 pm. What keeps people going when the going gets tough? And what supports people to bounce back? It was a personal experience this week which made me get curious. I was having one of those work weeks were everything seemed intense and I started to worry, particularly about taking on a new home and about money. The worrying led to doubt, which led to feelings of overwhelm, which led to physical symptoms of stress- not being able to sleep, bouts of tears, feeling nauseous- a classical vicious cycle. Thankfully over the years, with my yoga training and learning about cognitive behaviour, I was able to apply some skills to bring me out of the spiral, and this time, relatively quickly. Turns out, I am not alone. Money worry is one of the highest stress triggers there is. A quick google search will produce a litany of articles about money, stress and health. Irrespective of how much money you may have, and depending on your attitude towards that figure, money is cited as one of the prime causes of relationship breakdown and personal anxiety. At a chronic level worry can have knock on effects on long term physical and mental health. I decided to treat myself as my own own guinea pig this week and keep track of the tools and techniques which I applied to bring me back to centre and enable me to bounce back. This buoyancy is a quality which can broadly be defined as resilience and research has shown that it is a learned set of behaviours which can be improved upon over time. Emmy Werner’s landmark longitudinal study on resilience, for instance, identified a set of skills and belief systems which can be acquired and augmented with practice. We can think of resilience in this case as a muscle which if used regularly gets stronger. So what are these behaviours and what actions to take? The first and immediate step in building resilience is to appease any physical stress symptoms. The stress response, trigged by a perceived threat, differs per individual. Typical responses are sweaty palms, increased heart rate, neck and jaw pain, and more rapid breathing. The stress response can only be moderated through the body; which is to say, we can’t think ourselves out of stress. As we begin to feel more stressed, the ‘stress hormone’, cortisol, is released as a way to keep our blood sugar and heart rate up so that we are remain in a heightened state of alertness and are ready to respond to danger. Once cortisol is increased, our thinking mind can not decrease it- but our bodies can. And here is the simple hack: by intentionally controlling, slowing and deepening the breath, our blood is thereby oxygenated and we are able to put brakes on the level of cortisol production. Endorphins are released into our system, our heart rates slows and our body moves out of ‘flight or flight’ mode. It is not surprising then to find that deep breath work (or pranayama) is the basis of many meditative traditions. And so we have lesson one: breath deep. Posture too can play a role. Amy Cuddy’s research at Harvard Business School, is a study of ‘presence’. Her ever popular TED talk has helped to put data behind years of these ancient body practices. Cuddy was interested in the role of body language, non-verbal behaviour and posture in relation to performance outcomes. ‘Could you fake it before you make it?’, she queried. Cuddy went on to up an experiment in which two groups were invited to an interview. Prior to the interview the first group, were asked to inhabit ‘small’ postural positions (folded arms, crossed legs, slightly slumped over), while the second were instructed to inhabit large poses, or what can be called power poses- open arms, chin slightly raised, broad chest- essentially: to take up more space. And you can guess which cohort performed better in interview- yes, exactly- the ‘take up more space’ group. At the heart of Cuddy’s research is the idea that the opposite of powerlessness, that ultimate fuel of impostor syndrome, isn’t power but what she terms presence — the ability to inhabit and trust the integrity of one’s own values, feelings, and capabilities. This capacity for presence is the seedbed of the confidence, courage, and resilience required to rise to even the most daunting of life’s challenges. Then to bring us back to the question of how to be present, perhaps we can find some reassurance in Cuddy’s work: that if we are not feeling it, we can indeed fake it. Make yourself bigger, lengthen your posture, broaden your shoulders, take deeper breaths. Do this for two minutes. Bingo. The endocrine pathways are fired and our bodies are filled with a flush of ‘good’ endorphins. Of course the ancient yogis knew this all along: do a few sun salutations each morning to get not just our bodies limbered, but our brain chemistry too. And so, back to how I got myself out of a quandary last week. Knowing the power of yogic breathing, I focused on calming my breath, deeper and slower, expanding the frame of my body. Re-calibrated, within minutes, literally. So that is some of the short term crisis management so to speak, but what are some of the longer terms tools which can help to build resilience? This is where the thinking mind does play a role, on numerous fronts. Let’s start with values. As Popova touches upon above and which is explored through Werner’s longitudinal research, our capacity to develop resilience is related to our relationship to our internal values, or as what Werner refers to as our ‘internal locus of control’. Essentially, that when we can identify ourselves as the drivers of our own lives rather than external forces determining our circumstances, we have the capacity to design our responses to the majority of external stimuli which we encounter. I say the majority here, as of course, picking up a red hot poker will always trigger unconscious auto-responses which are designed to protect us from immediate and real harm, and thankfully so. In thinking about resilience I am reminded of the beautiful book, ‘Man’s Search for Meaning’ by Victor Frankl, a pioneer in the psychological field of logotherapy. The book is Frankl’s personal account of own experiences in Auschwitz concentration camp and how by focusing on finding purpose gave him the will to live. From this he went on to develop a wave of thinking in psychology that ultimately posits that finding meaning and the pursuit of purpose is a central force in what makes each of us tick; the thing that helps us to bounce back in the face of tribulation; i.e. that purpose and resilience are wonderful bedfellows. ‘Those who have a ‘why’ to live’, offers Frankl, ‘can bear with almost any ‘how’. What do I stand for? What do I value? What is my ‘why’. How do I choose to respond? These are resilience forming questions. To some spending time pursuing these could be interpreted as idle daydreaming, or to others, they may be literally considered as life-giving. I’ll pick the generative route. 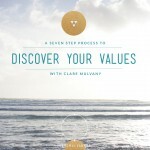 Last week, being clear on my values helped me through that brief black hole. I asked myself, ‘What would creativity do now?’, ‘What would joy do now?’, ‘What would leadership do now?’- all values which I have identified to be core to my personal make up as they have been consistent drivers in my decision making and how I have chosen to live my life. So by asking these questions it helped me to re-orient me to the larger picture and see beyond the immediate challenge in front of me. Values, I have learned, always take a long-term, grounded and wise route. Next up in thinking about what builds resilience is the role of narrative; what is the story of the situation we choose to tell to ourselves. In resilience thinking, how we speak to ourselves really does matter: our story is an act of design. We can borrow for a moment from design thinking – a methodology for innovating- here too. In design thinking we learn about ‘reframing’. This is like flipping current thinking on it’s head, and considering alternatives to be true. In the design industry this is generally applied to how to solve design challenges, but it can also be applied to our belief patterns. What if our ‘failures’ were reframed as our learning? What if worry is a signpost to the things that need our attention? 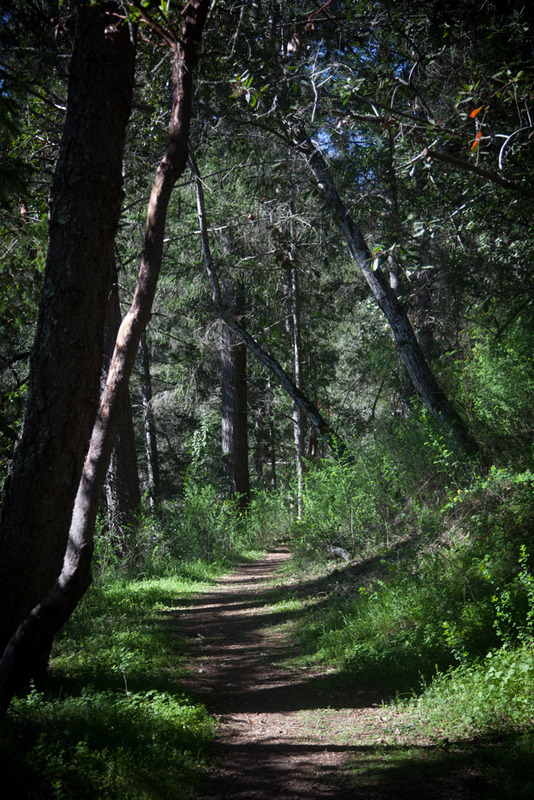 What if our circuitous paths were accumulations of vital life experience? The latter holds true to my own story. I have tried out so many career routes and different jobs over the years, and there are so many ways I can tell the story of this route. Do I internalise a narrative of ‘I am a failure, I can’t stick with anything for too long’, or do I flip it and reframe, choosing to narrate a positive version of this: that only through the circuity can I offer what I offer now, knowing it too will evolve. So, this week, a quick re-frame of my situation was needed. Yes, I had a few days of intense worry. Does that make me a failure? Does that mean I am not good enough to do the work I feel I am being called to do? Well, only if I choose to narrate that story to myself and fail to recognise the power in the vulnerability I was experiencing. As Brené Brown’s work consistently reiterates, it is only through vulnerability that we can get to courage. So in as much as we can design how to narrate our stories, we can also design how we choose to categorise core human experience: in-built flaw or route to courage? You choose. Which brings me to my last point for the moment on building resilience: friendship. Resilience, we have learned, is not an isolated fact but happens in community. Corresponding studies on longevity have been asking, ‘what is the single determinate of a long and meaningful life?’ You’d think it would be a healthy diet or not smoking. Well it turns out that while both of these are contributing factors, it is the quality of our relationships that is a key determinant in healthy longevity. So to flex our resilience muscle, we also need to buffer ourselves with social interaction, daily. That ‘hello’ to the stranger on the street, that knowing the name of the person who makes your coffee, that reaching out to a friend who you have not heard from in a while- these are the foundational building blocks of a life well lived. 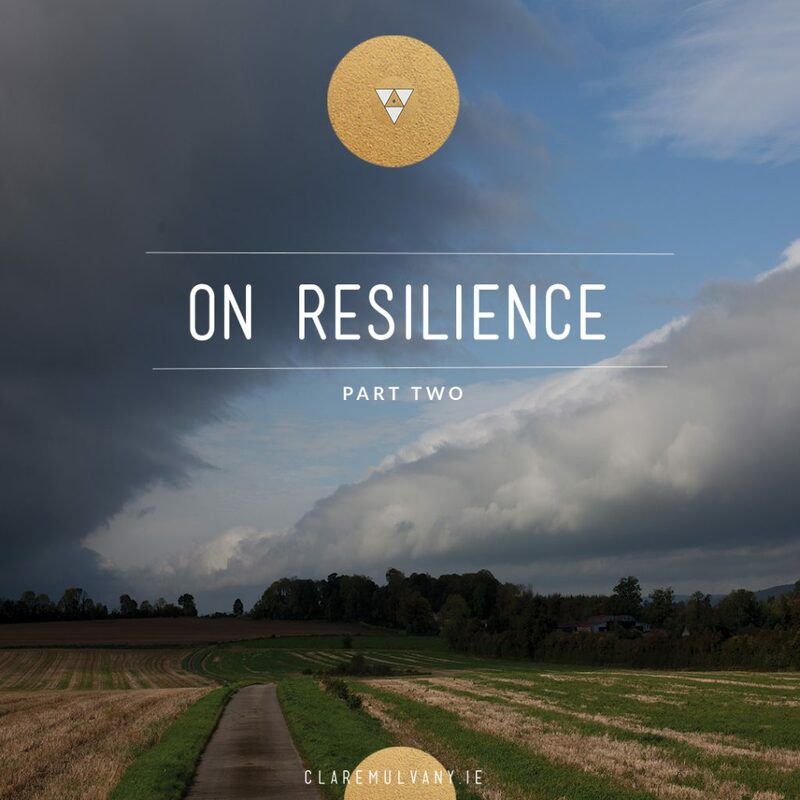 Part two on resilience coming next week when I’ll share some more tools to help build personal and professional resilience. This 7-step process can support you. Sign up to my mailing list here where you will gain a download link to it, and a growing library of other resources. 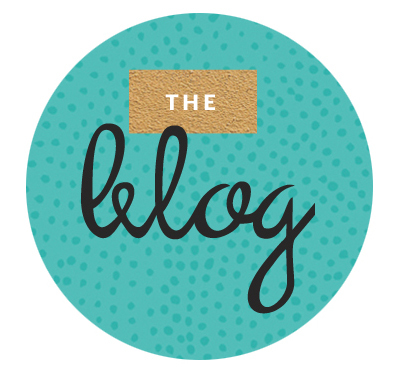 Listen to Amy Cuddy’s TED talk and follow it up with Maria Popova’s reflections. This New Yorker article is where I first read about Emmy Werner’s research. Rising Strong by Brené Brown and Braving the Wilderness have much to offer in the way of resilience building and vulnerability, as too this recent On Being Conversation with Krista Tippett. Thinking of a career move? Wondering what next? 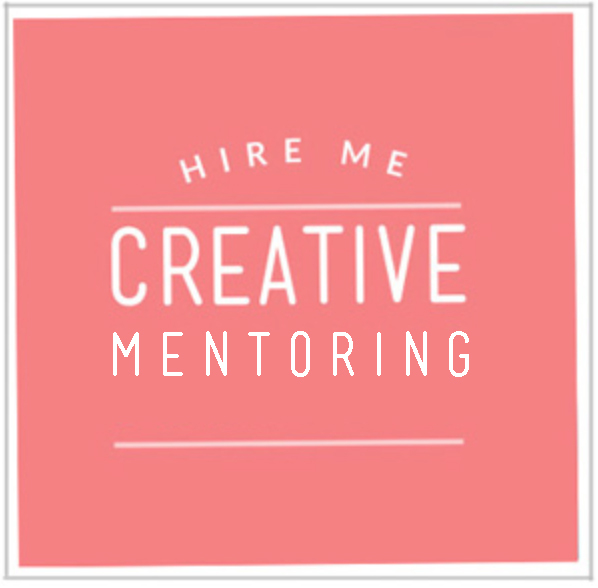 Setting out on a creative venture? Posted on March 29, 2018 at 4:47 pm. I’m tired. I’m tired of looking in the mirror and not celebrating what I see. I’ll rest that here. I’m tired of running away from my power because I am afraid of what my family, or friends, or that person on the internet who doesn’t even know me thinks. I’m going to leave that here. I’m tired of feeling ashamed of my extra bit of belly, or curve or that part of my body that does not want to be tamed. That stays here. I’m tired of all the ways I let fear shout louder than my love. From here on out, love wins. I’m tired of trying to explain what I do and why it keep shifting- a life lived, flows. From here, I’m with the flow. I’m tired of being spoken over, cut across, under valued, under represented, overly forgiving. That stops here. I’m tired of being tired. Here I rest, to begin again. These words, this, is a marker, a threshold, my rite of passage. As I step across I honour my late father Jimmy, whose big wild heart is wrapped up in mine, still gifting me his lessons in kindness and laughter every day. I thank him. And I honour my mother, Geraldine, my first home, who with one hand offers me her gifts of generosity, and with the other, reaches out with her gift of unconditional love; the essence of a mother. To this I give my heart. And I honour my grandmother, Molly, who sacrificed her own truth for the sake of her children’s belonging. And I honour my great-grandmother, who was silenced because she did not fit the mould, and whose silence has led me to find my own voice. I honour her, indefinitely. And to Ireland, this land of my birth, I honour her too. She tells me to listen to her wild ways, for not only is she beautiful she has the power to transform. She is in my blood. And to the ocean that wrapts it all up; I swim in my honour of her unfathomable depths, for she rises as storms do, then travels as the rain, nurtures the food that I eat and becomes, me. As I honour the ocean in me, I honour the ocean in you. These words I place as a marker. I will not let fear dominate or shame violate this body of mine. For I am the power of the ocean and the magnitude of the mountains. I am the wind and the rain. I am the wild woman and the forgotton voice. I am a white horse running with her wild. I am everything that woman contains. As I am womb, I am also home. As I am here, I am everywhere. As I am heart I am also the music of the heart beat. And if I am these things, then you, woman, you are these things too. I have stepped across into the flow on this wild edge of becoming. I declare: I am finally, home. Posted on March 20, 2018 at 12:09 pm. We are travelling through the cycle of the year, traversing the quarter arc, the Vernal (Spring) Equinox, a time when day and night are in equal measure, an auspicious moment in the calendars of many cultures across the ancient world. This marker of time, this nod to the celestial orbit of the sun, was a moment to pause, to create rituals and traditions where stories of identify, ethnicity, religious and cultural roots could be told, weaving cohesive bonds through global evolving societies. creature descending to the earth; the mythic return of the God to bless the forthcoming harvest. So it may not be surprising then that this quarter cycle of the year was marked in Celtic lands, this time with a turning towards the Anglo-Saxon Goddess Eoster, Ostara, to which ‘Easter’ can trace it’s etymological as well as pagan origins. In Ireland we can find alignment of the equinox sun most notably at Cairn T at Loughcrew, part of the Knowth Megalithic Cairns, when the dawn rising sun, lights up the Sliabh na Caillí, the backstone of the passage tomb, highlighting engraved and decorative sun symbols. 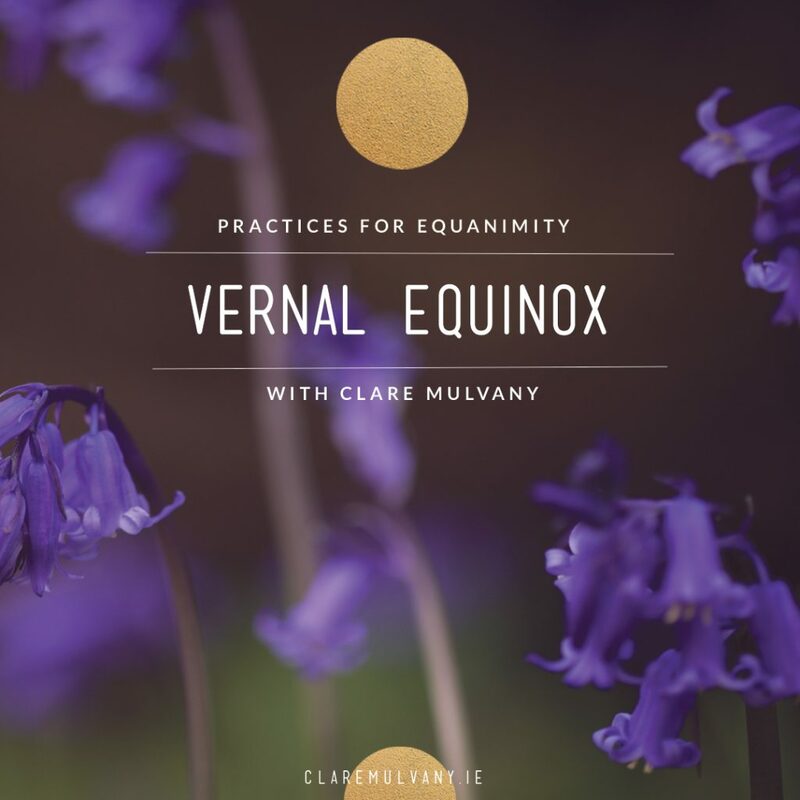 In the ancient celtic calendar, the Vernal Equinox was one of eight points on the annual wheel of the year, mid-way between the festival of Imbolc (Celtic Spring) and Bealtaine (Celtic summer). 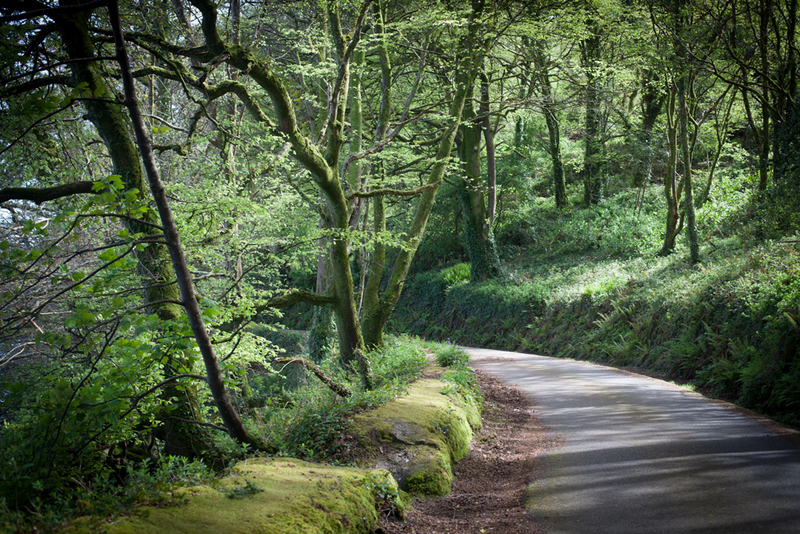 While not one of the main festivals in the year, it is a time of celebration of the re-birth of life, a resurrection of visible growth, as the budding of leaves and spring greens arrived in ever increasing abundance as the season turns. It is a time of equal exchange between the light and the day, the ying and the yang, the masculine and the feminine, and it is a time of planting and getting back out into the land to do the work which will be harvested at the end of the Celtic year, at Samhain, six months down the line. So, as we move through this arc of time, let’s take some pause, to tune into our light, to re-calibrate our intentions, consider our relationship to equanimity and to actively plant what we want to harvest, with intention and with hope. I have designed a planner to help you do just that. It incorporates meditative and journalling practices alongside some powerful questions to tune you into your intentions for the season ahead. Sign up here to my mailing list to download your free copy. Posted on March 19, 2018 at 6:05 pm. The redwoods stood so tall. Some, I heard, were over 1200 years old. When I climbed up into the ‘mother’ tree, one of the oldest in the forest, easing my back against her broad trunk, I noticed the tarnishing and burnishing on her bark. This tree has been through fire, and has survived. It was scarred through time, and has survived. Not only that, now this ancient being is offering solace and shelter and comfort to others. It’s strength is in it’s stillness; it’s beauty in it’s stature. The word ‘steward’ came to me, and ‘perspective’. As we are stewards to these trees, they are stewards to us. Their protection is a cycle. When I relaxed a little deeper into the redwood, the tears came. I cried, not out of sadness but of joy and awe for this grand perspective of time. These trees speak a language which the ancient parts of us understand. It made me think of the great Navaho ‘Seven Generations’ tradition- a way of longitudinal thinking which, like an arrow, catapults us through a long arc of time. It asks us to think about how our actions will land seven generations down the line; the span of a redwood life. Back in Ireland, on International Women’s Day, I attended an entrepreneur event in West Cork. There were amazing, talented and motivated women in the room. They spoke of the power of emotional intelligence, of speaking up and out, and of the drive to get their visions out in the world. I tried to listen, but there was a rage rising in me; a rage which was stemming from a little pink aerosol bottle which had been placed in front of each of us. The bottle was a spray-on fake tan. The female entrepreneur behind the product is a passionate and driven individual, with a lot of skill at getting a product out to market. But I could not help but read the ingredients- many synthetically produced. As the can is pressurised, there is also a fatal warning on the label and a flammable warning sign too. The rage continued to rise. What are we doing to ourselves? What on earth are we creating in the name of ‘beauty’? How long will it take for that bottle to degrade? What chemicals is it releasing into the air that we breath and the skin which houses us? The entrepreneur has won awards and recognition for her product, but I thought, what could that entrepreneur do if she put her talents and determination into creating a product which heals rather than harms our mother earth. Who, if not the women, will be the stewards in this long arc of time? The other evening I found myself listening to a podcast on Sounds True with Joanna Macy. Macy, now 88, has been instrumental in a movement called the The Work that Reconnects, incorporating Buddhist teachings and scientific thinking into environmental and social change work. There is an effervescence in her voice; a joy and air of reverence which comes from years of hands-on experience. I could listen to her forever. We have a choices, Macy explains, to participate in parallel narratives of our time. She names them as ‘the 3 stories’ which are simultaneously being written at each level of society. We have a choice as to what story we turn our attention towards. The first of these ‘3 Stories’ is Business as Usual- the story of our industrial growth society. It is the paradigm of profit and power in which economic growth is given prominence and provides for the wealth gain of the few- the 1%. This is the story of corporate rule, perpetuated by mainstream media. Next, there is The Great Unravelling. This is the story of the disintegration of our systems, including our ecological habitats. The Great Unravelling is narrating the death of our oceans, the obliteration of our environmental diversity and of climate change. It is the tale of the sixth extinction arising from the perils of the unchallenged ‘Business as Usual’ way of thinking. Then there is the story of The Great Turning. This is the story which understands the other two stories but refuses to ‘let them have the last word’. It is the story of conscious action and of communities of practice- from business to activism- who have the longitudinal arc in mind; who are actively choosing to turn attention, power and skill towards the work of crafting this new narrative and the corresponding, sustainable, systems necessary for our time. The writer Ben Okri’s words come to mind here too when he asserts; “A people are as healthy and confident as the stories they tell themselves. Sick storytellers can make nations sick…. Stories can conquer fear, you know. They can make the heart larger’. Throughout the On Being gathering, there was much talk of this Great Turning story. ‘What is the new story we want to narrate’, asked our host Krista Tippett, echoing Joanna Macy’s work. We heard snippets of The Great Turning being crafted in the simple interactions and kindness of strangers, in the saying ‘No’ to racism and hate, in the reaching out to ‘otherness’ both internally and externally, and in thinking in these longer timeframes. The peace-builder John Paul Lederach, for instance, only takes on projects in which the leaders on both sides are thinking in decade cycles; underscored with an appreciation that we need to work beyond political election cycles for real change to make progress. We heard too from Parker Palmer, Courtney Martin and Omid Safi who spoke about the importance of actively cultivating intergenerational friendships to help us tap into different perspectives and wisdoms, and Dr. Lewis Mehl- Madrona paid homage to the original indigenous peoples who inhabited the land we were on, reminding us so directly that we are not the first ones here, and if we are careful, we will not be that last ones here either. Stewards, all of us. Back at the Entrepreneur event in West Cork all I could see were little pink bottles. When it came to the questions and answers section, my heart was racing. I sat on my hands so that I would not raise them. I knew that if I did speak, anger would blurt out in a pacy rant. I get emotional that way- overcome sometimes, and in those cases, I am learning that it is best to pause, collect my thoughts and frame my emotions into a question- one that can highlight the challenge and potentially nudge the culture of what we find acceptable forward. Only on this day I seemed to be in overwhelm and my anger had hijacked my coherence. I turned to the lovely woman beside me, and the rage spilled over onto her (sorry lovely lady). Then, after the event, after calming down a little, I turned to another group of friends to ask for their advice: ‘How would you have framed the question’? Orlagh simply and gracefully offered- ‘How about… ‘have you considered a environmentally friendly version?’ Bingo. That’s all it would have taken. ‘Have you considered…’ Those little words pack a lot of punch. They nudge. I wished I had thought of that question at the time. Instead, I sat silent, and raging. I know I need to work with this anger and surging emotion. I want to learn how to channel it more, and speak in ways which settle into the nudges. So since both the US trip and this entrepreneur event I have been asking myself, ‘How do I harness this anger and emotion, in the moment? How do I learn to speak up and out in ways that nudge the conversation forward? I brought these questions to my own mentor. 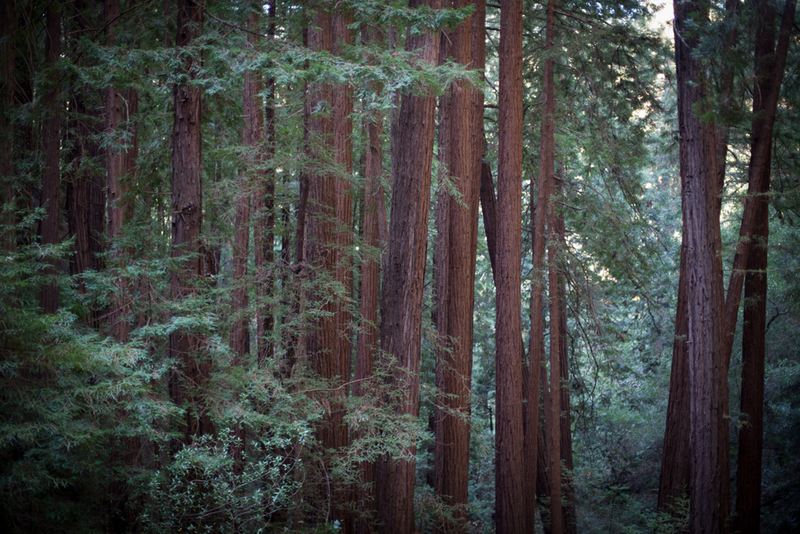 Her advice was a gesture back to the trees: be like the redwoods. She encouraged me to sit, so as to expand my capacity to be in the unruly discomfort, to be in the resistance, in the questions, in the anger. Sit for thirty minutes, she suggested, before you get into the whirl of the day. She means; sit to listen; sit to learn how to respond. So, I make my way to my to ‘here’. I sit still (ish). In the sitting, I am finding that there is also a turning. The rage is getting re-shaped into a willingness to allow it to inform and highlight what I need to learn. The sitting is exposing the gaps, and then it is slowly giving me courage to go into those gaps to see how I can fill them. As it is unsettling, I know it is also nudging. “There is a crack in everything, that’s how the light gets in’. Leonard Cohen knew of these things too. In this case, the crack came in the shape of a little pink bottle. And the light? Well, perhaps that is the rage. And then there is the little question of ‘Have you considered? So, have you considered the story you want to nudge towards, The Great Turning, the seven generations, and the trees which will still be standing if we can learn to be stewards to our rage. Stay in touch: Sign to my newsletter for more resources and happenings! Listen to the interview with Joanna Macy on Sounds True here. Her book ‘World as Lover, World as Self’ is a wonderful outline of her Great Turning thinking. You can read my reflections from the On Being Gathering over here. Omid Safi also shared this reflections on his encounter with the redwoods in this elegant post. Posted on March 12, 2018 at 1:00 pm. Travelling has a way of uprooting us from the familiar and offering new doorways into perception, insight and connections. 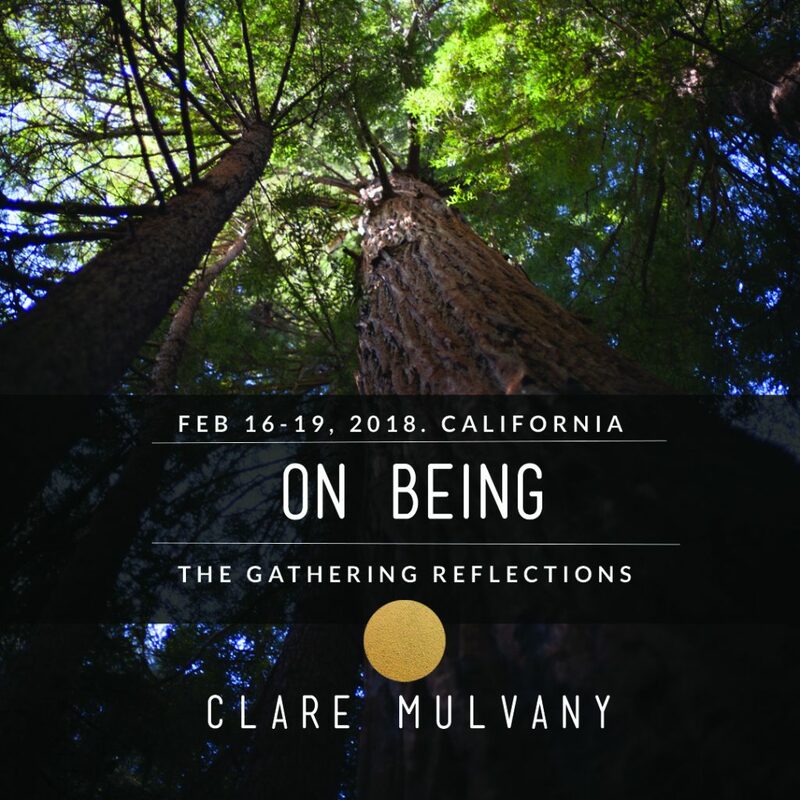 As many of you know I recently had the privilege of travelling to the first On Being Gathering, hosted in the new and magnificent 1440 Mulitversity outside Santa Cruz, California, surrounded by 1200 year old redwood trees. For four days we immersed ourselves in conversations, connections, poetry and nature. It was a time for listening, for questioning, for asking how we collectively can play our role in shaping the world to embrace our full humanity with compassion; asking ourselves some of the big connective questions of our time. In travelling to the gathering I was aware of the many wonderful people in my own community who were cheering me on and wishing also that they could be there. I was very aware that I was, in some way, representing all of these people- especially those in Ireland, and I wanted to offer something back to this community on my return. This too evolved into having a desire to offer something back to the new community which I met at the On Being gathering. And so, since returning, I have spent some time attempting to syntheise the key themes and patterns from the conversations that were happening on an off stage. What emerged is a work of amalgam, and in putting this out, I must acknowledge the wise words and presence of all the speakers, participants, On Being staff and our host, Krista Tippett. It is also a work in progress as I am sure that, with time, I’ll be able to see different patterns and ripple effects from the conversations and experience, allowing them to inform my own path onwards. And I have also created a PDF version for download and printing, which also includes a little more of the poetry which was shared or referenced at the Gathering, and have added this to my resource library. I’d love to hear any responses you have, or what questions it stirs for you. And I also hope you find it useful in your life and work as you navigate your own questions and choices in this powerful time we are in. Posted on February 8, 2018 at 8:08 pm. It felt a bit ironic that I read ‘Slow at Work’ quickly, but the ease in which it reads is part of its charm. Aoife McElwain writes in such an earthy and grounded way that reading her new book is like sitting down beside her in her favourite Fumbally Café as she openly and honestly talks you through her quest to get to core of the often ‘elusive’ concept of ‘Work/Life Balance’. Aoife is a freelancer. For a long time that meant, like so many, running around like a mad thing, chasing deadlines, and juggling multiple projects. Then, one summer, after a bad back injury – induced by too much work and carrying heavy loads, both physically and mentally- she clearly realised the trap she was in: a distinct unbalance modulating her between extreme activity and burnout. And it was taking its toll. 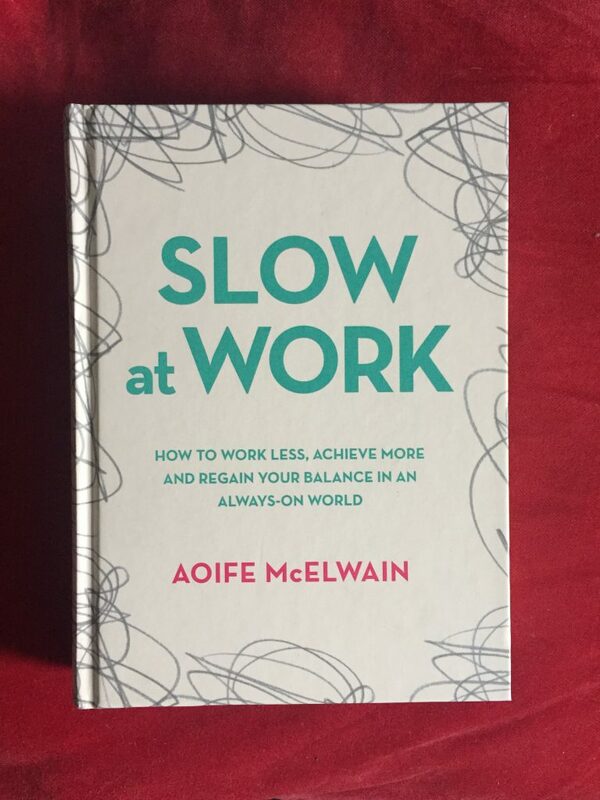 Slow at Work, published by Gill, is the result of Aoife’s year long (ish) investigation in this core question, essentially: how to stay sane in an always ‘On’ world. Alongside extensive reading into the topic she interviewed about 100 people from different sectors- wellbeing professionals, coaches, other self employed people, restauranteurs, artist and creatives- gathering insights. Over the year she then experimented with new approaches and tools to actively apply to her personal and professional life and kept a list of her own nuggets of insight and ‘aha’s’ along the way (which she shares at the end of each chapter). Diving into topics ranging from managing our inner critics, procrastination, technology and social media, burnout, energy management and gut instinct, Aoife provides a useful distinction between ‘percolation’ and ‘procrastination’ and a handy approach for getting to know (and tame) your inner critic. There are also plenty of insights into how our working environments, diet and physical activity have an impact on our overall wellbeing, alongside an open conversation about money and also our relationship to social media. It would be tempting to wrap up such a book with the presentation of a ‘Seven Steps to having it all sorted’, kind of list. Refreshingly Aoife instead gives a considered evaluation of the evidence for ‘slow’ in the context of her own life. In that sense ‘Slow at Work’ is not a prescription, more of an invitation. “It turns out you can slow down and keep up’, she writes, ‘it just depends on what your idea of keeping up is”. 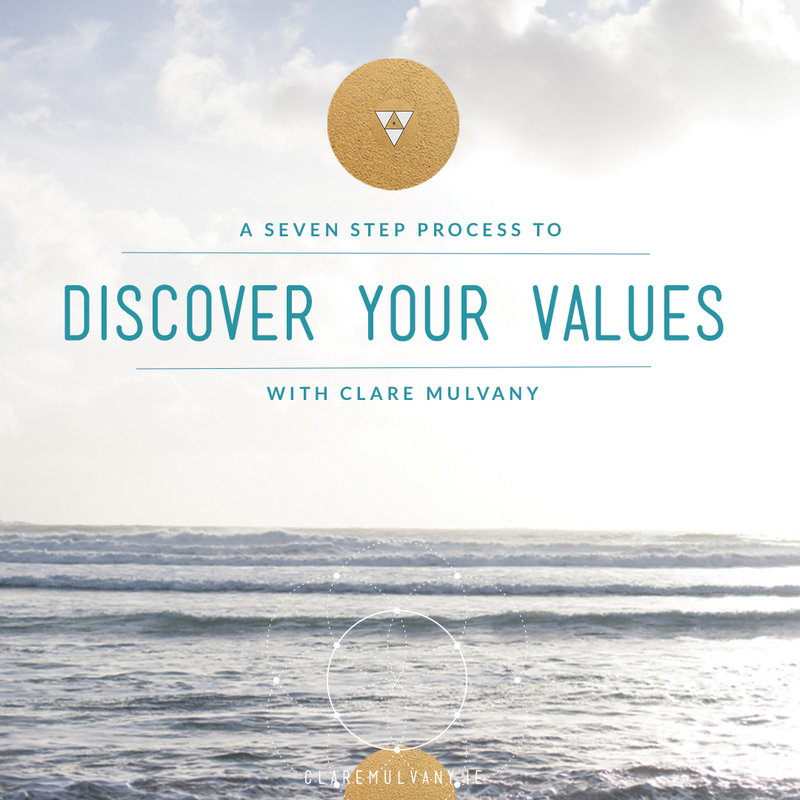 Like many of the interviewees, Aoife is open and frank about the pitfalls of the entrepreneurial lifestyle- that the promised freedom can come at a high cost unless clear boundaries around time and a very very conscious commitment to wellbeing is applied – with discipline. You can pick up your copy of ‘Slow at Work’ in any good bookshop, as they say, or over on Gill Books website.